When Defne started school last year, she was having school dinners. She came home starving each and everyday. I didn't know if she was eating too slowly and didn't finish her lunches and I didn't have the chance of knowing how much she ate. A few weeks later she said she didn't want school dinners any more and I started packing a lunch box for her. Yet, my daughter is a picky eater. She won't eat a cheese sandwich or a salad so I was having a hard time deciding what to prepare. Some days I would prepare pasta, some days humous and vegetarian salami sandwiches, some days it was wraps or pasties. It was boring for me to prepare almost the same sandwiches. 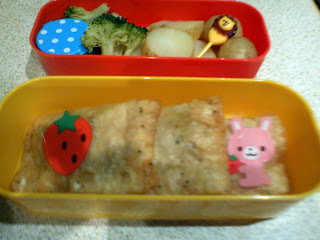 But the most important thing is that I felt guilty that she was not having a balanced diet for her lunch. 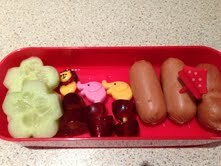 Then in the summer holidays, I discovered the bento lunchboxes. 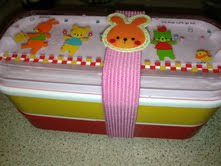 I knew about them before but I thought I did not have the time and energy to create elaborately arranged lunch boxes. 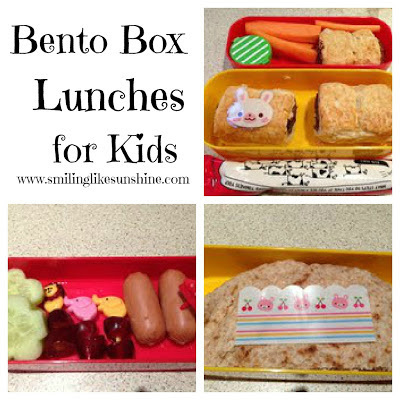 When I came across Arlee's wonderful post " The Art of the Bento Box", I knew this would be something my daughter would love. I went online, bought a lovely bento box,some cute food picks,seperators and voila! I am able to put a variety of food in small portions. So my daughter does not get overwhelmed with one big sandwich plus she eats a more balanced diet. The box and the food looks esthetically pleasing and yes, it comes home empty,yay! I really enjoy preparing the bento box. It is a creative outlet for me and Defne loves helping me prepare it. There are so many cute boxes, cutters and accessories out there, you can easily spend a fortune on these! For now,we are sticking to our basic cutters and stuff. Do you prepare bento boxes for your kids or yourself? 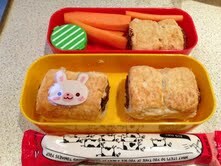 If so, I would love to hear your favorite bento ideas. I'm going to start this for my vegetarian son. He eats PB&J EVERY day! I sure would love to hear more about the butternut squash pastries... I would do anything to get my kids to eat like this:) Thanks, I always love your posts. 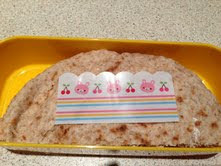 Very cute ideas for lunches. That bento box looks delicious! And I love the actual containers you have too!